Below you can view all the homes for sale in the North Springs subdivision located in Sandy Springs Georgia. 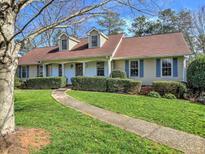 Listings in North Springs are updated daily from data we receive from the Atlanta multiple listing service. To learn more about any of these homes or to receive custom notifications when a new property is listed for sale in North Springs, give us a call at 404-998-4017. Newly Finished Large Basement with Fireplace, Half Bath & Space For Workshop/Storage.Freshly Painted Exterior & Interior, New Carpet, New Architectural Shingle Roof, 2-Car Garage, & Prof Landscaped Yard.Close To Nature Park, Schools & Swim/Tennis. Owner/Agent MLS#6532123. Beacham And Company Realtors. Private, Landscaped Backyard Offers Unparalleled Entertaining And Play Space. MLS#6530330. Harry Norman Realtors. 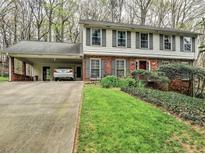 Walking Distance To One Of The Top Elementary Schools In Fulton County. MLS#6502969. Harry Norman Realtors. Finished Basement W/ Wet Bar. Huge Rear Yard! ! MLS#6114835. 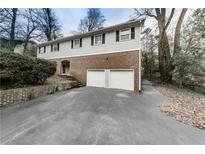 Priority Realty Group, Llc..
All Of This In The Heart Of Sandy Springs, Close To Schools, Shopping & Fine Dining. MLS#6081938. Coldwell Banker Residential Brokerage.